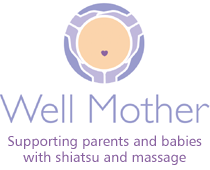 Shiatsu treatments for pregnancy and post-partum, baby massages. Shiatsu is a non-invasive manual therapy which works very well for treatment during pregnancy. It’s an effective way of going through your pregnancy with the highest possible well being and healthy state. In AMALUR ZEN we will accompany you during your whole maternity process, offering sessions of Shiatsu for pregnancy, preparation for childbirth, postnatal treatments and Shiatsu for babies. To help you relax and connect with your body, or to address specific issues (nausea, back-ache, sciatic pain, tiredness, retention of liquids, insomnia, anxiety, mood changes…), always with the aim of globally improving your wellbeing and health. Shiatsu can be done at any time of pregnancy, adapting frequency to your needs. The sessions are adapted to the different periods of your pregnancy, taking care of your needs during each trimester. It is important that your partner has as many tools and resources as possible in order to give you support during this period, not forgetting that your partner may also need your support in order to keep up with all the upcoming changes. To help you recover after childbirth. 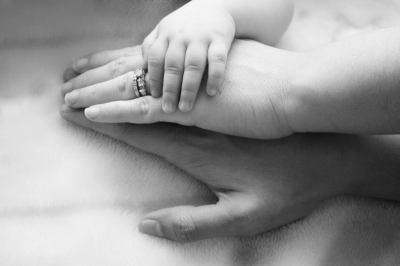 Shiatsu can help the body recover more quickly and support the bonding with your baby. It can help you deal with issues breastfeeding related issues, reduce postpartum depression and make it easier to adapt to the new routine. If you prefer you can bring your child to the session. And if for some reason you can not come to our centre, we can make the session at your home. Learn how to do Shiatsu for your baby! This session is a practical class in which either parent (or both) learn specific baby Shiatsu techniques, and how to use them properly at different stages of the baby’s development. The class lasts about 75 minutes, but the practical massage time will be between 20 and 40 minutes. At all times we will adapt to the needs of the baby (if he/she needs to eat or sleep or be changed), and we will have a doll to complement the explanations. Suitable for babies from 4 weeks up to 7/8 months (pre-crawling). Want to know more about holistic maternity care? 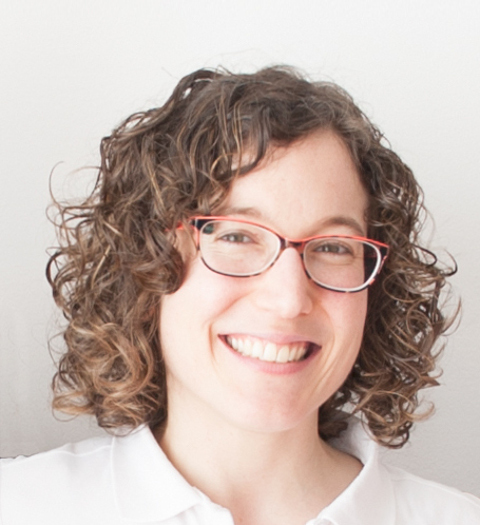 Check out Suzane Yates’ website for information about courses, reserouces for parents, and much more! What are the main benefits of receiving Shiatsu during pregnancy? Alleviates many of the unwelcome side effects of pregnancy. Decreases back pain (sciatica, lumbago), relieves headaches and tension in shoulders and neck. It improves digestion, relieves morning sickness and heartburn, and prevents constipation. Improves blood circulation and lymph flow, relieving swollen ankles and feet or varicose veins. Supports physical and emotional changes that occur during pregnancy. Helping to maintain good posture and muscle tone, improving mobility, especially in the third trimester. Providing a space for relaxation and wellness, reducing stress. A safe space to process the emotional changes. Promoting self-awareness of your body, bringing your attention to your body through physical contact, gaining awareness of the undergoing changes. Consolidating your self-healing ability, providing support for all changes (hormonal, physical, emotional and mental). And when the end of pregnancy approaches, preparing the body for labour, seeking to relieve pain and generate an overall calming effect. The quiet and relaxed atmosphere typical of a Shiatsu session is beneficial for both mother and baby. If the mother is relaxed, the baby feels more relaxed and secure. We always work looking for the connection with the baby, helping you to be more aware of their status and their emotions. In the last phase of pregnancy, helping the optimal fetal positioning for delivery, through gentle exercises and non-invasive techniques. A complement to your primary care doctor, obstetrician or midwife. Shiatsu supports and stimulates the body’s natural processes, it does not replace or add anything, and is fully compatible with conventional medical care. Shiatsu sessions often help fill the void of attention in subclinical diseases, providing a more continuous care, or a space to discuss certain pregnancy issues in greater depth.. In which other ways can shiatsu contribute before, during and after pregnancy? Shiatsu offers tools for women and their families to better process the changes happening during pregnancy, both emotionally and physically. The massage techniques used in Shiatsu massage are smooth, made with care and consciousness, seeking to give maximum support and nurture the bond with the body, the baby and the couple. Based on Traditional Chinese Medicine, it can help relieve physical and emotional discomfort. We teach breathing techniques, combined with visualizations, to help you feel more relaxed and in tune with your body. They can help reduce the perception of pain during childbirth. We practice exercises and body awareness, which help your body to better adapt to the changes experienced during pregnancy, while preparing it for childbirth and the postpartum period. Arriving the moment of childbirth in good health and awareness, you can reduce the length of delivery, pain, and possible complications due to being in a state of greater relaxation and body awareness, less anxiety and more self-confidence. How are Shiatsu sessions for pregnancy? In a Shiatsu session the whole person is being taken care of (body, mind and emotions) and generally always the whole body is treated and not just one area. We work in a calm and respectful environment. The session begins with a small interview about the development of the pregnancy: medical tests and consultations, visits with the midwife, concerns of the mother, any physical discomforts, emotional issues, etc. The assessment of the current state can be supported with other Traditional Chinese Medicine diagnostic techniques, such as pulse palpation, observation of the tongue, posture, etc. Shiatsu is not painful or invasive, and does not use other products or instruments beyond the therapist’s body (hands, elbows, feet, knees …). Usually it is developed on a futon on the floor, with the help of cushions and blankets for comfort, but it also can be done using a gymnastic ball, especially during the third trimestre. Shiatsu is done with the person dressed, so it is recommended to wear comfortable and wide clothes. What are the differences between Shiatsu for pregnancy and the regular Shiatsu sessions? During pregnancy the body undergoes many changes, physiological, structural, energetic… therefore, Shiatsu sessions for pregnant women are somewhat different from a “normal” session, adapting the techniques to the new needs. You will always be asked what position you find most comfortable, and this can vary throughout pregnancy. The prone position (lying on your stomach) is not appropriate beyond the first trimester, and lying on your back may be the cause of dizziness in the last trimester, due to supine hypotension syndrome. Therefore, the most common position will be lying on your side with pillows for supporting legs, abdomen and arms. During the last trimester, part of the work may be done in “all fours”, or other forward-lying positions, either on a gymnastic ball, or resting on a chair, etc., to relieve stress on the lower back and leave more room for the fetus to move. During pregnancy we work with the energy of both the mother and baby: the treatment may affects both and we need to be aware of both. According to Traditional Chinese Medicine, the forces that govern life, including the design and development of the fetus, are called “Extraordinary Vessels” and it’s from them that the regular energetic channels or meridians flow. In Shiatsu for pregnancy especially sessions we work with the energy of these “Extraordinary Vessels”, which is slower, deeper and more powerful. Breathing and relaxation techniques to help women to relax and tune in to her body, the baby and their feelings. Lymphatic drainage techniques to help the venous and lymphatic return and reduce fluid retention. Exercises to help the body adapt to the physical changes that occur during pregnancy, which also may be useful as preparation for childbirth: stretching exercises to relieve cramps, exercises to prevent and relieve back pain, etc. We also focus on postural awareness, and how to adapt the most common postures (sitting, standing, sleeping, etc.) to not add further tension to the body. You can share a session with your partner, a friend or support person, as well as other children, so that they get involved in learning massage techniques and other tools for personal care. This will help stimulating communication between the couple and the family and facilitate pre-natal connection with the baby. How are birth preparation sessions? We begin the session by talking about what are your specific needs: Is it the first pregnancy ? What is the birth plan ? How has been the pregnancy so far?… Birth preparation sessions can be individual or with your partner ( or the person who will accompany you during birth). Usually they include exercises, practice of postures that will be useful during the different stages of labour,, points that can be stimulated to relieve pain, relaxation exercises, visualizations and breathing exercises. “Shiatsu for couples” sessions are an opportunity to explore how your partner feels about the baby’s birth, and learn techniques to support the mother during labour and to take care of himself or herself. Massage techniques for childbirth – from the book “Beatiful Birth” by Suzanne Yates.